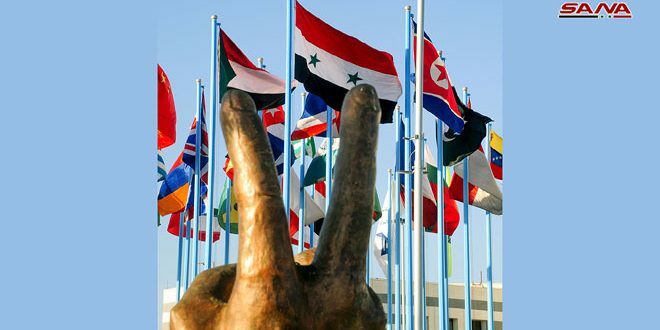 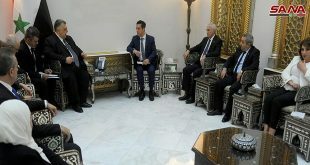 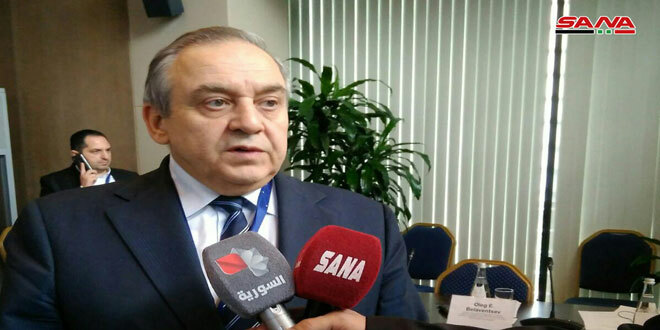 Damascus, SANA – Speaker of People’s Assembly, Hammouda Sabbagh highlighted during his meeting with the Russian Ambassador in Damascus Alexander Kinshchak on Tuesday the depth of the historic friendship that is gathering the friendly peoples of Syria and Russia. 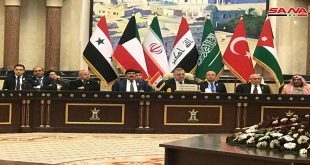 He stressed importance of upgrading the bilateral parliamentary relations. 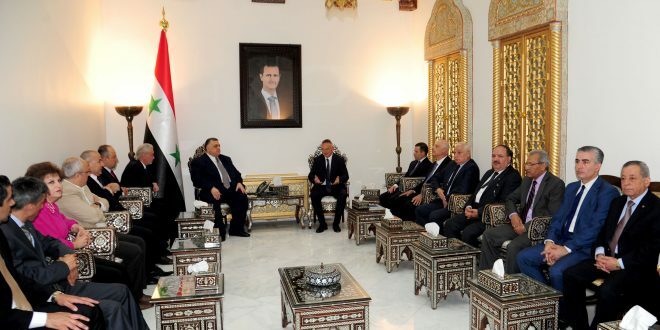 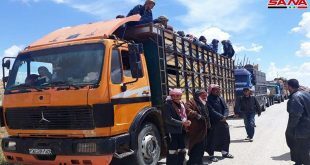 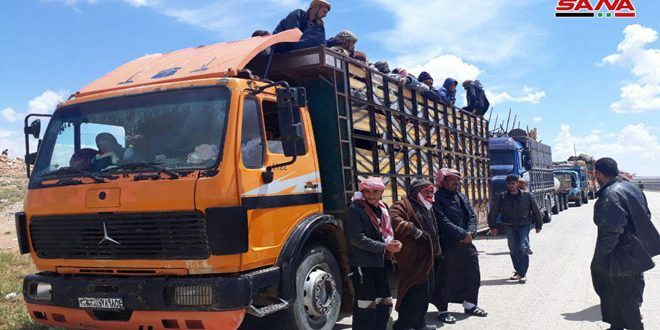 Sabbagh expressed appreciation of the role of the allies, on top of which Russia, for supporting Syria during the past years in the war against terrorism, which has led to strategic achievements. 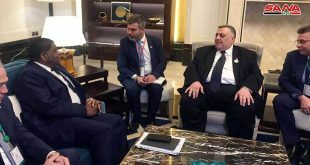 For his part, Kinshchak highlighted the importance of deepening relations between the two friendly countries at all levels, adding that the parliamentary coordination between the two countries is high. 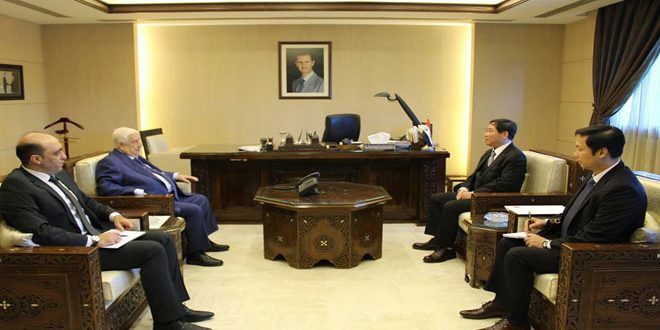 He expressed hope that stability and security would be restored to Syria as soon as possible.